Last month a dream came true for PSPA student Michelle Nguyen. Nguyen was notified that she is a 2018-2019 recipient for Scholarship America’s Dream Award. Nguyen says that the Dream award has helped other recipients in the past that are much like herself (first generation and/or minority students). The scholarship is meant to help students who may not be in the financial situation to go to college or make their educational dreams a reality. Scholarship America has donated $4.2 billion to students like Nguyen since its established in 1958 by Dr. Irving Fradkin. Nguyen didn’t know what to think when she heard that she was a semi-finalist, but kept dreaming. “When I applied and heard back that I was a semi-finalist I wasn’t sure how many people were in the pool. When they told me that I got it I was so excited,” said Nguyen with a beaming smile. 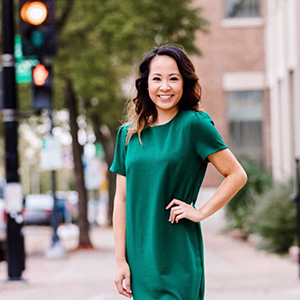 This May, Scholarship America will fly Nguyen and the other 2018-2019 recipients to Washington D.C. for the Dreams to Success Gala. While in D.C. the recipients will also attend workshops together. Nguyen looks forward to hearing the stories of the other students and how they found the scholarship. Nguyen is particularly excited to meet the donors at the gala. “The most exciting part for me is being able to have that interaction,” said Nguyen. What will Nguyen be thinking when she meets the donors? “You don’t even know the amount of impact that you have had on my life,” said Nguyen. Nguyen hopes to be like those donors one day and help to fulfill academic dreams for students. Congratulations to Michelle Nguyen! The CoBPA is very proud!